A meeting of three artists from three different cultures: Korean artist Kyungwoo Chun, Korean-German composer Kunsu Shim and German composer Gerhard Stäbler. The artistic trio carries out a common investigation of visual and sonic media and creates a series of collective works for exhibits, concerts and dance performances. Space, image and sound are integrated into an aesthetic symbiosis that is the result of their tightly-knit collaboration. After a lengthy artistic exchange between the three artists, a cooperation with public institutions begins: first a dialog between Kyungwoo Chun and Gerhard Stäbler (videos for the quintet White Spaces, for voice and string quartet, and for the spatially conceived work SapphoTrilogie for soprano, chorus, orchestra, electronic sounds and aromas), then with Kunsu Shim (videos for the quintet last night, for voice and string quartet). The dialogs are expanded into a ‘trialog’ with the media works FLOWER FIST (2008/2009), RED BOOK (2008/2009), and After a Hundred Years for soprano and orchestra (2011). 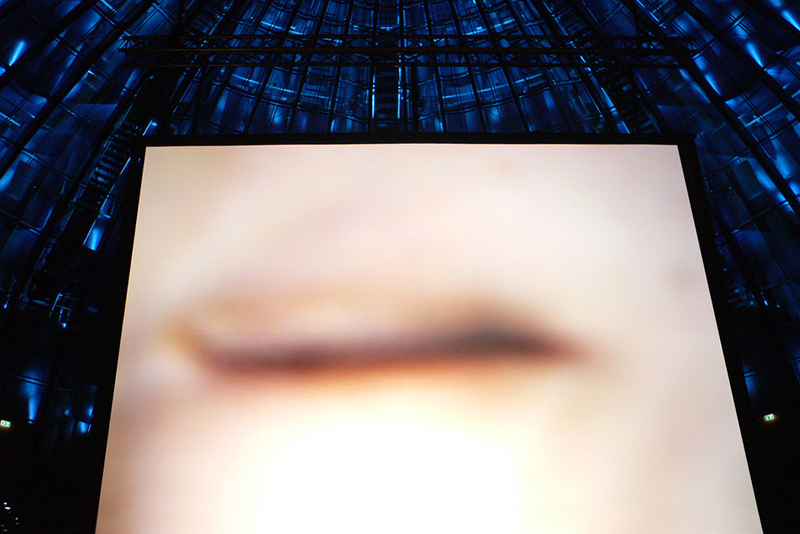 In 2009, the three artists participate together in the multimedia nighttime exhibit of Chun’s works in the Total Museum of Contemporary Art and the Gaain Gallery in Seoul. With premières and Korean first performances, the exhibit features visual and sonic works as well as original performances created for the two participating venues and the pathway that connects them. The following collaborative works – co-acThings (2009), BreaThings (2009) and Tausend Monde (2011) – deserve particular mention, for they also offer audiences a possibility to interact. Chun, Shim and Stäbler perform these works themselves, but they also perform them together with other singers and musicians, such as Ellen Aagaard, Salome Kammer and Martin Lindsay; the Duisburg Philharmonic, the Young Orchestra NRW and MusikFabrik; they also perform with percussionist Thorsten Gellings, who has performed FLOWER FIST and RED BOOK in Seoul, Duisburg, Emden, Erfurt and Stuttgart. The three trialog artists have documented their visual and compositional creations in the volume bild.klang.los. Containing images as well as sound, the volume is eloquent testimony to the unique creations of the trialog artists. It is edited by the Wilhelm Lehmbruck Museum Foundation Duisburg and the Total Museum Seoul in German, English and Korean and is published by Pfau Verlag in Germany.